Florette The Label was founded by Ai Phing who got inspiration to make wrap dresses from Diane Von Furstenberg’s designs. 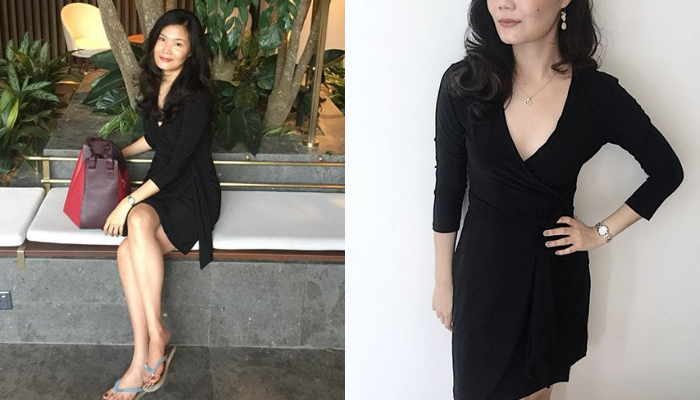 Ai Phing believes that wrap dresses are universally flattering dresses for all women, across all body types and shapes. Several studies show that our moods can be affected depending on what we wear. Likewise, how we feel when waking up every morning can affect our choice of outfit and subsequent moods. Which is why women spend an average of 17 minutes each morning trying to find an outfit to wear to work. This amounts to four days a year, and six months of our working lives searching for something to wear to the office. In the case of 30 year-old Ai Phing, wrap dresses—like those from Diane Von Furstenberg (DVF)—represent the perfect type of dress for women of all shapes and sizes, considering that they suit any occasion. 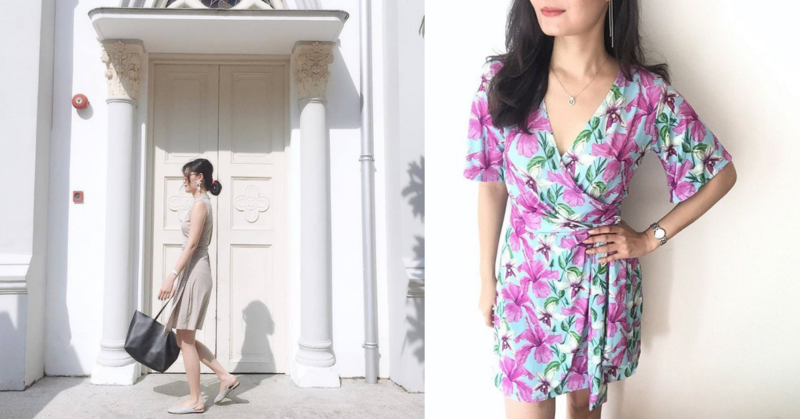 Elegant and timeless styles have always had a special place in Ai Phing’s heart who has always dreamed of owning a DVF piece, but she could never afford one as they come with hefty price tags ranging from a few hundred to thousands of Ringgit. Thus, she created Florette The Label to fill that void. A peek at how much DVF dresses normally cost in USD. “Before starting Florette The Label, I was convinced that the wrap dress ala DVF style is the universally flattering dress for all women. There is a reason why this style stood the test of time since the 1970s and is graced by iconic women globally, up till today. And I wanted to make this accessible to all Malaysian women,” said Ai Phing. Before Florette The Label, Ai Phing studied business and commerce at Monash University and went on to pursue her masters in Master of International Business at Melbourne, Australia. She then had a career in marketing communications where she was responsible for the communications of all marketing collateral for a couple of IT firms in Penang. The idea to even start Florette The Label came through a conversation with her elder sister during Chinese New Year, but she was still employed at that time and didn’t give much thought to it. “She and my brother-in-law were the ones who gave me that much needed leap of faith into this entrepreneurial journey,” Ai Phing added. Currently, she works full time on Florette The Label as a one-woman show. Although wrap dresses are her core products, she has other designs such as jumpsuits, rompers and matching mommy-daughter collections in the pipeline. She understands that although wrap dresses are novelties for now, they won’t last forever. “People like variety, and the novelty of having only wrap dresses will eventually wear out. To spice things up, complementary pieces like basic shirts and tops to wrap bottoms will be added in the future too,” Ai Phing explained. Florette The Label originally catered to working professionals in their twenties to thirties, but the brand is now focusing towards women in their mid-30’s as most of her customers are within that age group—which meant the designs and patterns were also slightly changed to appeal to that market more. Moving forward, Ai Phing is looking to launch her first custom print edition where the patterns and fabric will be personally hand-picked by herself. One thing Ai Phing’s mainly learned throughout her entrepreneurial journey is that she believes business people need a stomach for entrepreneurship, even more so when you are the only person at the forefront of the business. “If you don’t have the discipline to push things through, no progress will be made. I have never worked so hard in my life to be honest, but the rewards from seeing your dresses get sold and the positive reviews you get from customers makes it all worthwhile,” she added. Her primary motivation comes from her loyal customers who repeat orders and refer the label to their friends who live overseas. If you would like to find out more about Florette The Label, you can follow them on their Facebook page here.